Without a doubt, rosacea is on the rise. In my 25 years as a skin care expert, I have seen a tremendous increase in people with this troubling condition. Rosacea is a vascular disorder triggered by episodes of blushing and flushing. According to the National Rosacea Society (NRS) in Barrington, Illinois, rosacea now affects an estimated 14 million Americans, ranking it among the top five most-diagnosed disorders by U.S. dermatologists. Rosacea presents as sensitive, red or inflamed skin that shows telangiectasia (small visible blood vessels) near the skin’s surface and can become pustular, often causing it to be mistaken for adult acne. It is common for Irish, Scottish, English and Scandinavian heritage. 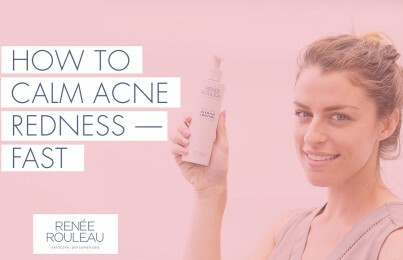 While the traditional approach to treating rosacea is with prescription creams and antibiotics, such as Tetracylcine, I am a believer that if you can control symptoms without involving prescription medication, it is easier and less invasive. Read: Are Antibiotics Necessary For Treating Acne? One ingredient that I have seen tremendous results in controlling the signs of rosacea for my clients is Lichochalcone. 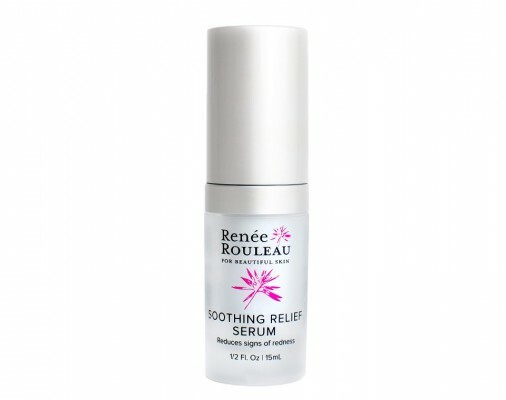 Many skin care companies now use it and it’s in our Soothing Relief Serum. It is a yellow to reddish brown extract of the Chinese Licorice root (Glycyrrhiza Glabra), that’s been standardized with 15% Lichochalcone (active substance). Studies show that Lichochalcone eliminates almost 100% enzyme Lipase from the surface of the skin (an enzyme produced by P. acnes, S. aureus and Demodex mite, all of whom have been implicated in worsening skin conditions such as pustular rosacea). The study compares the activity of Lichochalcone and oral Tetracycline and shows Lichochalcone to be more effective in lipase reduction and elimination. This study shows that this natural substance is more effective than the prescription medication in preventing future flare-ups and limiting the growth of undesirable flora (this is done directly through the elimination of lipase – an enzyme known to trigger redness). Bottom line: This ingredient has been shown to give better results than taking prescription antibiotics – and I know this to be true with seeing my own client’s skin. 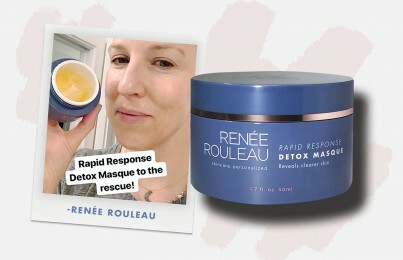 It works extremely well at getting the visible redness and irritation caused from rosacea under control.